What sort of people travel with Aviation Tours NZ? What if I am travelling alone? Where can I join the tours? Can I fly from a domestic airport? Can I accrue frequent flyer points on the flights? Do I need a visa? Do I need to be very fit? Can I do just part of the tour? Can I opt out of the airshows or any of the museums? Can I stay on after the tour? Can I return from another airport? 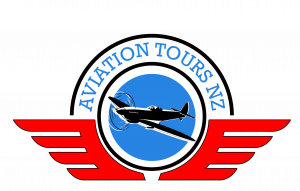 What sort of people travel with Aviation Tours NZ? We usually have good mix of couples and singles. With a husband and wife team escorting the tours, we look after everyone. Interest levels vary and we ensure that there are plenty of alternatives for those who might like to opt out of the planned activities. One year we had three generations of one family which was lovely. We welcome all ages and have had guests in their 20s up to 80s. If you prefer your privacy you can pay a single supplement and have a room of your own. Otherwise we may be able to offer you a room share to avoid the extra cost. If we can't find a suitable room partner the single supplement wil be payable. Where can I join the tours? We depart from Auckland with the main group. On our UK tours, you can meet us in Singapore or London if it suits you better. If you would like to depart from Australia, we can make arrangements to meet you in Singapore so you can join the group early. Can I fly from a domestic airport? Yes, we can organize your domestic flights, usually as part of the international fare. Or we can book a shuttle if you are close enough. Can I accrue frequent flyer points on the flights? Usually we have the lowest fares available for the group which are not eligible for points. If travelling on NZ, AU or UK passports, no visas are required for Singapore, UK or France. UK passport holders travelling to Australia will require a visitors visa which we can issue for you at no extra cost. All passports will need at least 6 months validity. Our tours are fairly leisurely, and you can explore at your own pace in most of the places we visit. You do need to be reasonably fit to make the most of it, especially as there will be some stairs to manage. We encourage you to do a bit of extra walking in preparation for the tour. Can I do just part of the tour? We are flexible so please ask if you would like any changes or opt out of any parts of the tour. 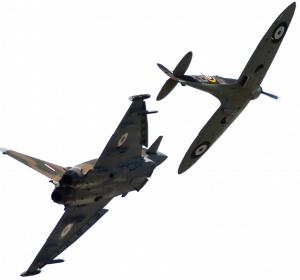 Can I opt out of the airshows or any of the museums? You may choose not to participate in any of our visits as long as it is a day that we do not relocate to a new town. If you plan in advance we can adjust the cost of your tour accordingly, and you can spend your day as you wish. Can I stay on after the tour? Our group flights have a flexible return so you can come back at a later date. There is no cost to make one change to your flight home but if availability is poor on your new date, there may be an increase in cost. We can help you find a suitable date. Can I return from another airport? You can return from another airport but there may be an additional cost. We will be happy to discuss this with you.